The change of season is a great opportunity to update your decor to suit the warmer weather. No more chunky knit throws and heavy cushions. It’s time to switch it up and embrace the sunshine. 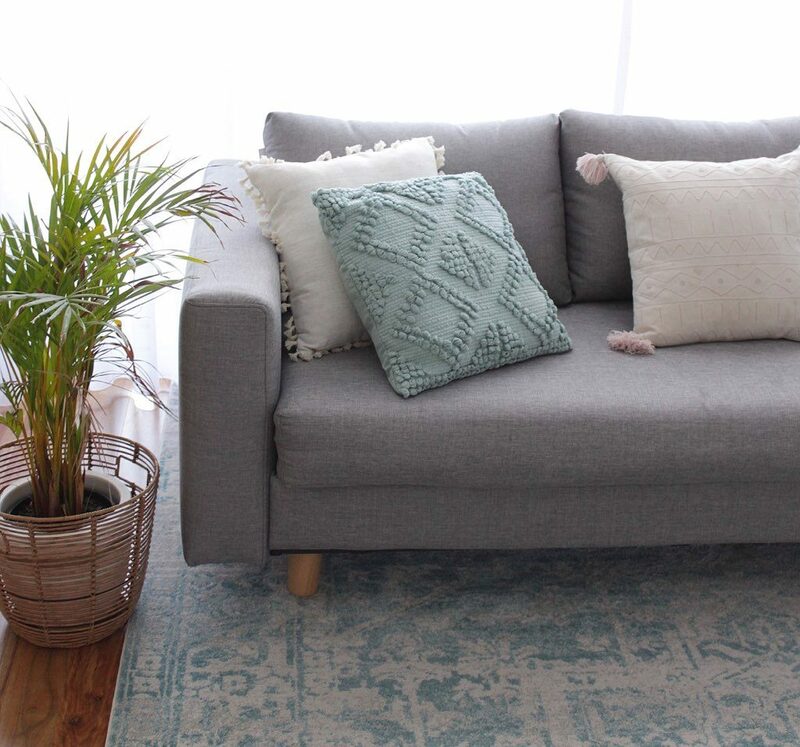 Here are my tips to stay cool this summer and style your grey Koala sofa to suit the warmer weather. The last thing you want to be doing on a sweltering summers day is to dive into a pile of velvet cushions and heavy throws. It’s time to strip it back to lighter materials like linen and cotton. A tasseled linen throw paired with cushions in gorgeous sorbet colours screams of summer. For a coastal vibe add jute or raffia fringed cushions. For me summer means colour. The simplest and least scary way to bring some colour into your home is with cushions and throws. For a lot of people using and choosing colours can be a daunting task. My tip for those of you just starting to dip their feet into the colour wheel is too stick to muted or light sorbet tones. A grey couch really sings when it has been dressed with beautiful linen fabrics in pale yellows, pinks, blues and lavender. I also love a pop of ocean blue in a boho style cushion to create a beach like vibe. It’s been proven that indoor plants make you happy. Not only do they help to clear the air, they literally bring the outside in. 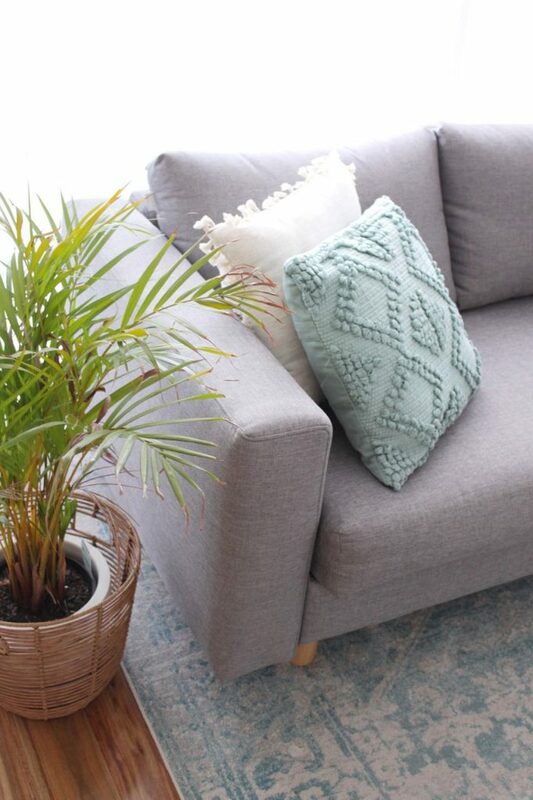 A perfectly placed palm or dwarf olive tree next to your couch really brings a tropical touch. Have fun choosing a gorgeous pot to suit you style. For a cool casual look use a woven or seagrass basket. Why not bring the summer vibes into your home by adding some playful colours. Pinks and pale blues really pop against the gorgeous grey fabric of your Koala sofa. Add a light linen throw in sandy beige or pale yellow to create a fresh and coastal vibe. Have some fun and add a playful embellished cushion in a contrast colour or texture. For real impact simply add one statement cushion in a bold colour or pattern amongst a sea of neutral tones.